The central focus in this are the Dutch National colors. At the end of the sixties my father made me some kites. The perekop kites were the most beautiful. Unfortunately, nothing is left of this collection. The inclination to kite techniques began at the beginning of 2000 for me as a reason to take up flying kites again. In 2010, this resulted in establishing our own kite team called “Dutch air Demons” or in short “DAD”. 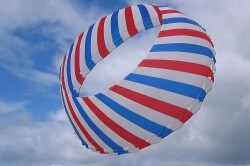 The “Dutch Air Demons” kite team started with governable 2 and 4 line kites, and our preference goes out to Nasa NPW5s. At present we have dedicated ourselves entirely to single line kites. In the collection both sparred and soft kites are present. The central focus in this are the Dutch National colors; red white and blue. Moreover, the team has a number of night kites with reflection and LED lights. 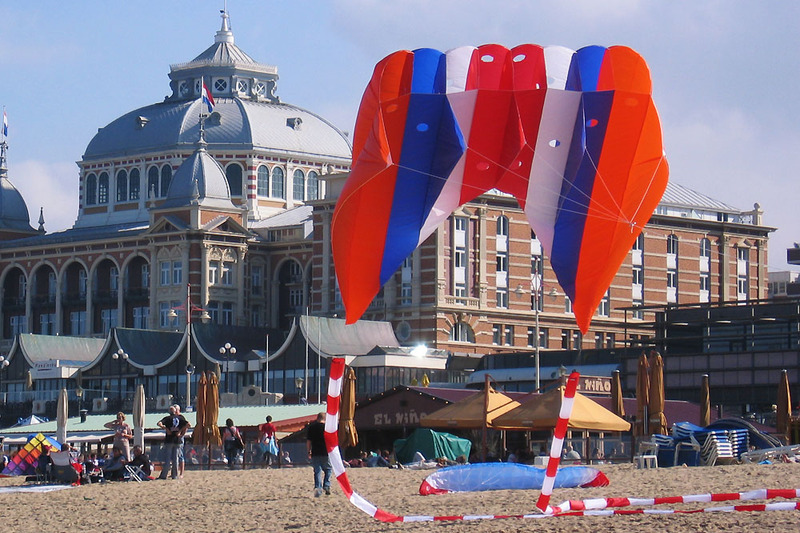 In 2011, this allowed the Dutch Air Demons to win the Night Kites Throphy.at Oostende during the 26e “Lotto Kites international” festival. 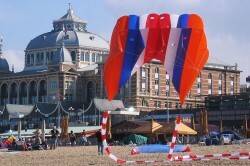 Dutch Air Demons have a collection of large kites. 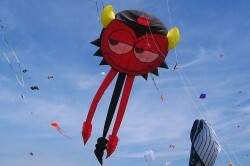 A 20 meters high Red Devil and an air form of 42 M2 large are the pride of the team. The members of Dutch Air Demons are real team players. You don’t fly kites on your own. Therefore we work together to turn a festival into a successful event. 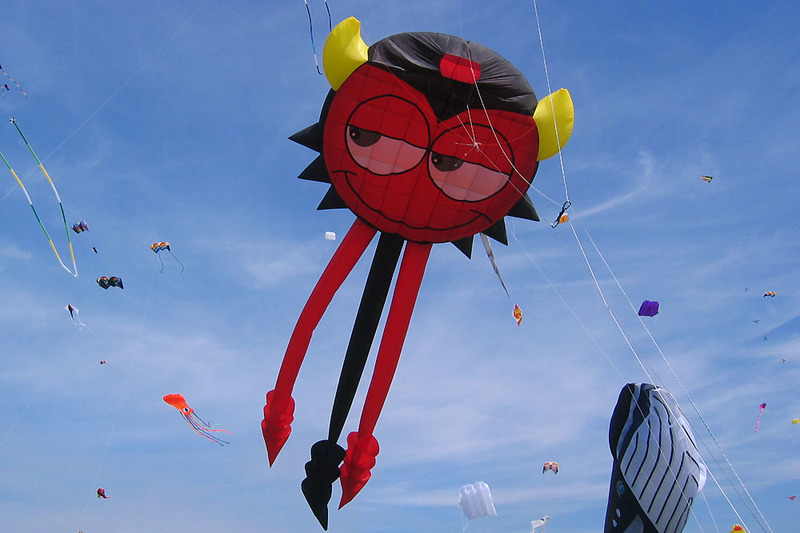 We have a tremendous amount of pleasure in flying kites. The application of several types of techniques and material has our interest. The complete range of large kites has our attention; thinking of ground anchors, lines, bridles, kite fabrics, designs and such. The aspects of kite safety, collegiality and reciprocal respect also play an important role.